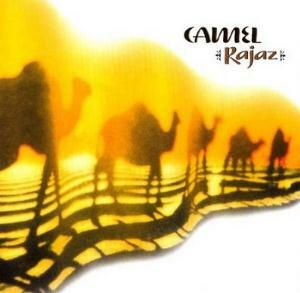 This is Camel's 13th studio album. The music sung by poets to the rhythm of the camel's footsteps, during caravans across the great deserts. Not in vain does it convey that sort of atmosphere throughout .Ton Sherpenzeel, a founding member of Kayak, is back playing keyboards, Latimer sings on all album's songs, giving a more personal feel to the lyrics which often reflect on his life-long artistic choices and personal experience with his band. Final Note : Excellent choice and highly recommended for both fans of Camel and for people who just want to listen to relaxing and thoughtful music. This is a CD that sounds good on first listen and then grows on you! Curiosity : Ton Scherpenzeel contributed his role for the album by recording his material in his home studio at the Netherlands, and sending the recordings over the net to Latimer's studio in California. Scherpenzeel is uncomfortable with air travels, a fact which has prevented his working with Latimer during the 90s, until the internet provided a method for artistic collaboration.